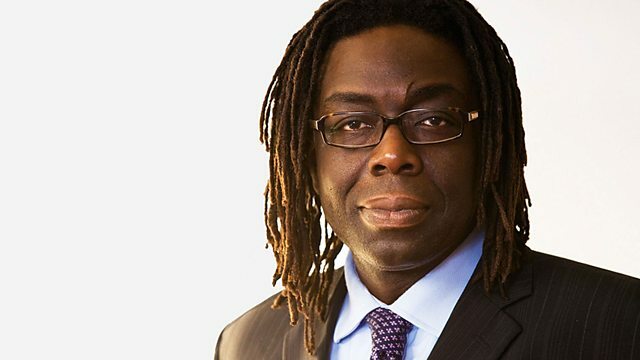 Crossbench peer and social entrepreneur Lord Victor Adebowale is interviewed by Kirsty Young for Desert Island Discs. Kirsty Young's castaway is the crossbench peer and social entrepreneur Lord Victor Adebowale. For the past decade, when not in the House of Lords, he has devoted his time to overseeing services for people who are homeless, suffer from drug or alcohol addiction and have mental health issues or learning disabilities. To many, they are the most disadvantaged people in society, but he says that's not a term he finds useful: "I find it very difficult when people use words like 'bottom of the pile' and 'disadvantaged' - you'd be amazed that the veneer that separates people who don't think they're at the bottom of the pile from people who are is quite thin." The Stranglers: Greatest Hits 1977-1990. Cocteau Twins – Stars and Topsoil – A collection (1982-1990). Compact Jazz: Coleman Hawkins/Ben Webster.